Srinagar: In a press conference in Srinagar, Jammu and Kashmir Private Tour Operators’ Association put forward their demands including international flights from Srinagar. 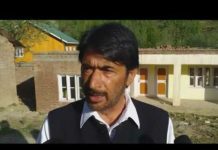 President Nisar Wani, J&K private tour operators said that the need of Hajj quota and consular services are vital for them, given the huge flow of pilgrims from the state. 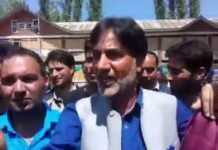 They also condemned assault on Kashmiri businessmen outside the state. Private Hajj & Umrah operators of Kashmir demanded that direct international flights from Srinagar airport should be made operational for the convenience of the pilgrims. They said, in order to avoid various problems faced by the pilgrims and the operators while flying via New Delhi airport, direct flights from Srinagar airport to Saudi Arabia should be made operational.